An exhibition in a space where the walls could not be used for display warranted a bold independent insertion. 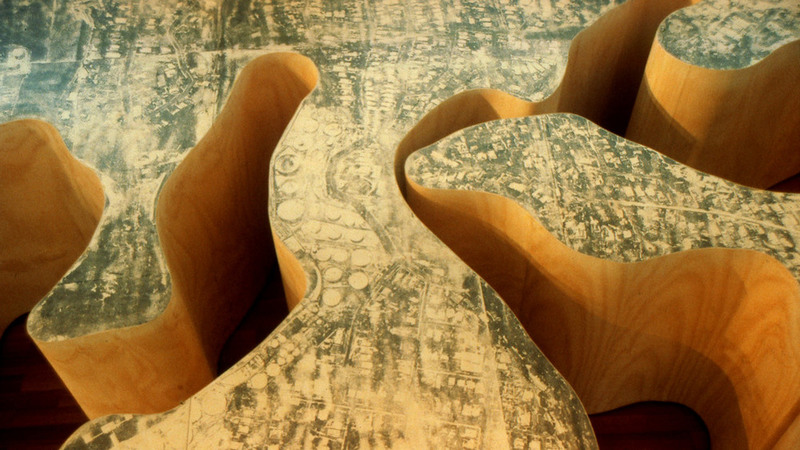 Sydney Harbour as a tabletop for observers to walk through was built with reverse photocopied landscape information transferred to the plywood top. Sites in question were identified in colour and their locale easily understood by proximity. The observer was able to stand in the Harbour to observe from a new perspective what was otherwise familiar. 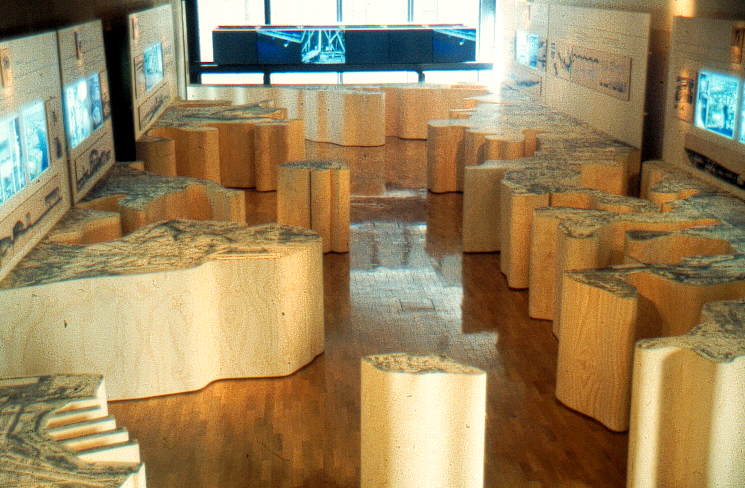 This exhibition was awarded the RAIA Premier's Award (1998).